Like many other families across America, my kids headed back-to-school this week. As much as I’d like to think I am the picture of organization when it comes to setting up a school routine, the truth is that our weekdays can be hectic on a good day and pure chaos (and misery) on a bad day. Between trying to get going in the morning when our kids would rather be sleeping and trying to get dinner on the table in the evening when we’ve also got dance, soccer, homework, PTO meetings, and any number of other obligations, it often feels like our Monday through Friday is nothing but rush, rush, RUSH! But ever the optimists, this year my husband and I are determined to do better. We’ve already told ourselves that this will be the year that we know what’s going on, that we don’t miss an event or forget to pack a lunch or neglect to return a permission slip. An ounce of prevention is worth a pound of cure, so this year, to keep ourselves on track, we have worked on developing this easy step-by-step Sunday Prep plan. We figure just three hours of serious hustle each weekend will save us five whole days of stress during the week, which seems like a very worthy tradeoff! Luckily this year we also have the benefit of our new Frigidaire 2-in-1 Upright Convertible Freezer, which makes preparing meals ahead of time a whole lot easier. While Sunday evenings work for us, you could just as easily follow these steps on a Saturday morning or Friday afternoon—whatever works best for your family and your schedule. The point is to actually block out a recurring chunk of time each weekend to prep for the week ahead. And for a family of four like ours, the cooking portion of the plan really only needs to be done every other Sunday. This plan is definitely doable in 3 hours if the whole family helps but may take just a little longer if you are working all on your own. I strongly encourage you to involve your kids as much as possible—let them be responsible for picking out their own clothes, folding laundry, picking up around the house, and even helping with some of the food prep! You might just be surprised at how much fun you all have racing against the clock to get it all done. Sounds pretty good right? Below you will find everything you need to get it done! Shopping time is not included in this 3-hour time frame, so you will need to make sure you have the following items on hand before you begin! Before beginning, make sure you have all your ingredients and supplies ready. When everything is in place, just set the timer and GO! 0:00 – Gather laundry & sort into lights and darks. Start first load of laundry in washing machine. Fill kitchen sink with hot, soapy water. 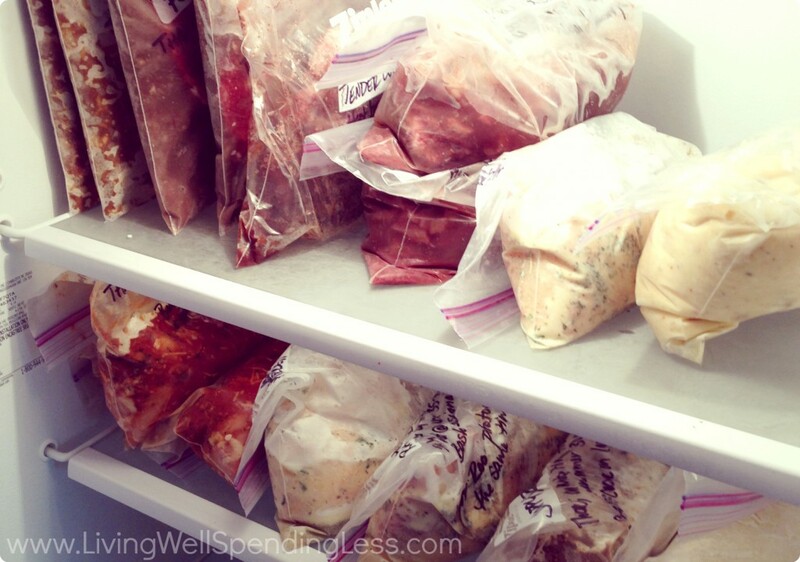 0:05 – Prep 10 freezer meals, using instructions/recipes for any of our 10 Meals in an Hour posts Here. While you are prepping your meals, have your kids pick out their clothes for each day of the week and/or tidy their rooms. 1:05 – Wipe down kitchen counters. Transfer first load of laundry into the dryer and start second load of laundry in washing machine. 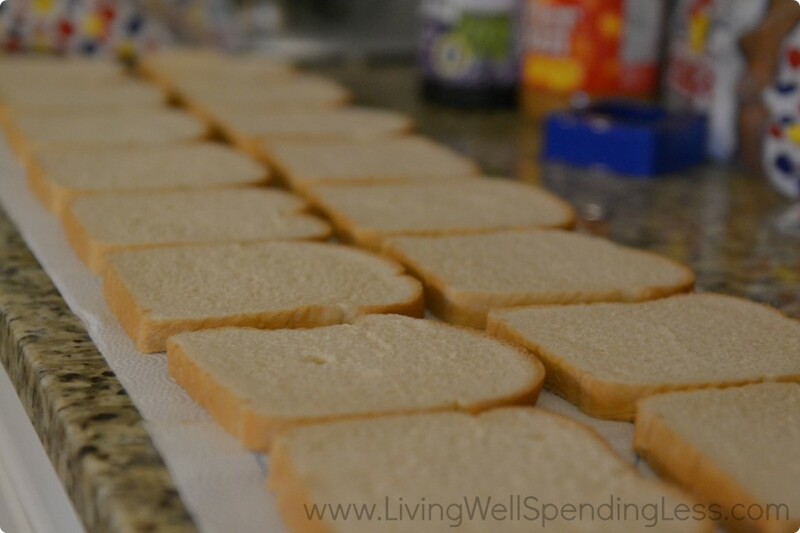 1:10 – Prep freezer PB&J sandwiches using instructions found HERE; save the crusts for breakfast cupcakes. Have kids help with sandwich prep and placing sandwiches in bags for freezer. 1:30 – Turn on oven; prep Breakfast Cupcakes using instructions found HERE, using the bread crusts leftover from sandwiches for the base. 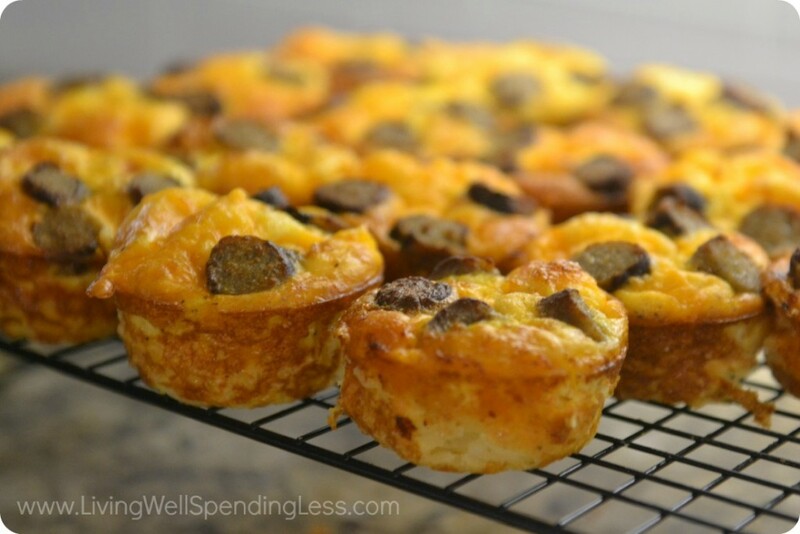 1:50 – Place breakfast cupcakes in oven. Transfer dry laundry to laundry basket; transfer second load to dryer. 1:55 – Wash dishes & load dishwasher; wipe down kitchen. 2:10 – Remove breakfast cupcakes from oven & place on wire rack to cool. Have kids pick up living areas and dust while you speed clean the bathrooms using instructions found HERE. 2:30 – Plan week’s meals using printable family meal plan found HERE. 2:40 – Sort & file kids paperwork; sign permission slips and add to backpacks. 2:50 – Remove 2nd load from laundry; fold and put away. Now give yourself a big pat on the back, then put those kiddos to bed and enjoy a glass of wine. You are DONE and now ready to start the week off right! Doesn’t it feel good? What else do you do on the weekend to make sure the rest of your week runs smoothly? I’ve been following your blog for a number of years, back to your couponing days. These tips come at the perfect time! I’m looking for some freezer prep ideas as the new school year starts. I really would like to get away from running around like a mad women during the week. Here public school starts after Labor Day, but my daughter goes to church school they start next week. Thank you thank you thank you!!!! I need this! Wonderful tips as always! This is just fantastic! I love that you include all of the stuff we worry about as moms, and put it into manageable steps. I’m totally doing this! I have started back to work and have 2 in elementary school. This could not have come at a better time! Thank you! This is amazing! I especially love your countdown sheet. I want to create one for all sorts of tasks that we do repeatedly around the house. Thank you so much. There’s a very good chance you just saved my life…or at the very least my sanity. We just finished the first week of school and ate out every meal, first due to poor planning (ok no planning) and being on the road so much, we commute to everything. So nice to have a game plan and a reliable list of freezable recipes & along with help for how to pull it all off. Thanks! Hopefully it won’t take me all week to get my act together!!! Sarah L, dont feel bad – i am right there w/ you girl! So dang hard when you work Full Time. Ladies, i am right there with you guys! Work FT and also commute. I can see where this plan would be very helpful ESPECIALLY for the working mom! Thank you so much Ruth, this post just came at the right, Its like God heard my silent prayer. These morning I was telling myself I need to rearrange my sundays not seem to be getting the day right and anded up sleeping around 11pm, due to late ironing, couldn’t even speed clean the house. You are such an angel, Thank you!!! I don’t think anyone gets to send PB&J’s to school anymore, do they? What are they used for here? Hi I’m Australia but I still like ur ideas and food plans. I think there great. Iv tried giving u my email to log on and email for free book but I don’t think it’s going through. I have always wanted to try freezer cooking, but was turned off by all of the prep. Your freezer cooking meal plan 1 is a real game changer, and my family is loving it — especially the Creamy Italian Chicken! I used the 1st batch of Orange Glazed Chicken with Costco Quinoa and Rice, and the 2nd to make Chinese Chicken Salad. Today, my daughter and I made the PB&Js, and I can’t wait to prep meal plan 2 next weekend. Thank you so much! Seriously, I could platonically kiss you so hard right now. Coming across this post a little late, but I love it, thank you! 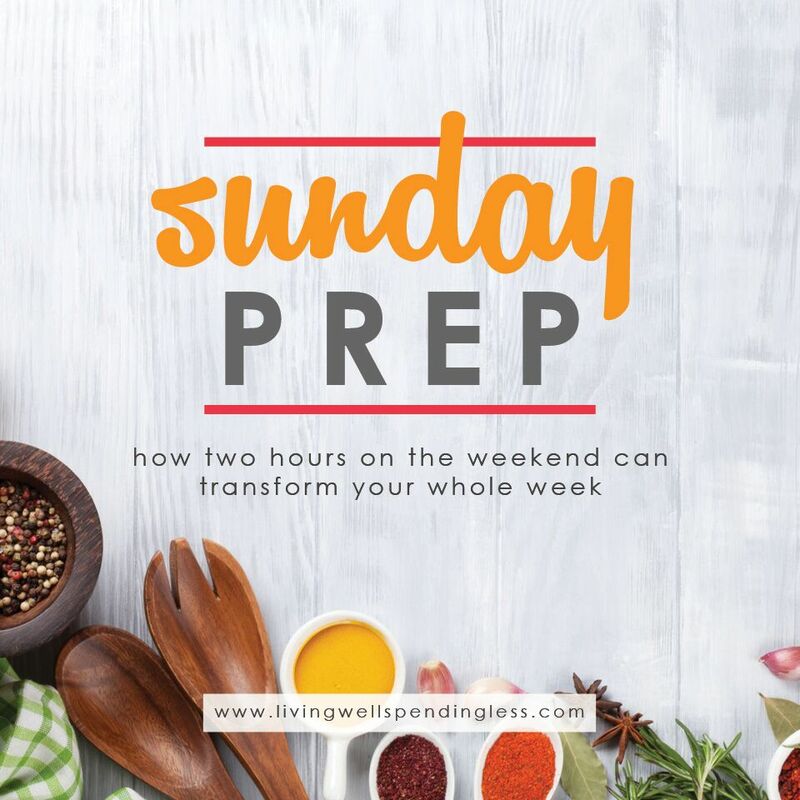 I did a Food Prep day just this past Sunday, but I came nowhere close to the level of organization you’ve described… I always feel so much better when I’m prepared and put-together for my days, so I can’t wait to give your way a try! Is there an update on how this is working for your family? I love this stuff. The more detailed the better! I don’t think this exact plan would work for our family of work-from-home homeschoolers, but I do love the sentiment. I’m thinking I will try something similar to meet my own needs. Nothing beats a little preparation heading into the week. I love the idea of your organization and meal prep. We too have an issue w peanut butter & my kids don’t really even like sandwiches! So we have healthier options. Also, our washer dryer takes a lot longer than yours & I’m not quite sure how you fold an entire load & put it away in ten mins? This is great! I am going to pin this for later.. Sunday prep is needed, but this seems like a super effective way to make the most of it!! This is good information, but I would vote for a different day than Sunday. That is our family’s Sabbath time. With the whole week planned, clothes chosen, lunches made, laundry caught up and a clean house and kitchen, I’m not sure what I would do. But I’m sure going to try and find out how it feels. 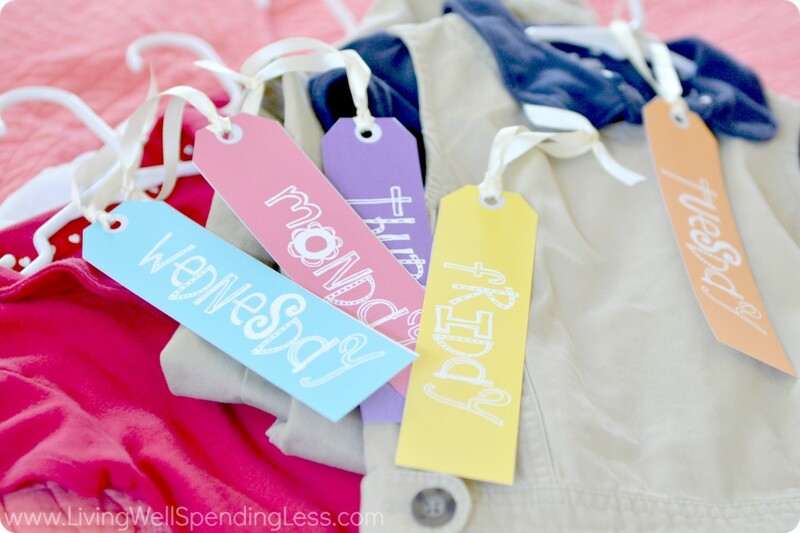 I’ve seen the idea of choosing clothes for the whole week…but where do you put several kids’ clothes out for the week? The printable is in the “Dig Deeper” box. Just click the “get my prep plans now” button.